Imagine your home. You are in your living room. You have a couch on top of a rug. On the side table, there is a vase that you intended to fill with flowers year-round until you realized that is an impossible feat unless you are Martha Stewart, or Oprah. Now, imagine if you are in Salvador Dali’s home, or even Pablo Picasso’s. Or at least imagine what a fictitious world would look like if those artists were creating your couches and rugs and vases. This is Derived from the Decorative: Works by Faig Ahmed, Beth Lipman and Bouke de Vries, opening Friday, February 1 through Sunday, June 9 at Cheekwood. These contemporary artists explode and alter the decorative arts, removing the functionality and transforming them into contemporary sculptures. 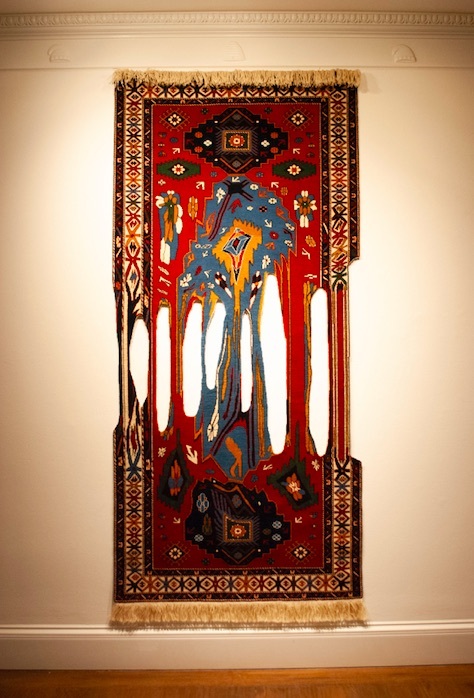 Faig Ahmed uses ancient carpet weaving techniques from his native Azerbaijan in his works. Ahmed creates the patterns for his rugs on the computer, before he and women in his community hand-weave each piece. A method that has been practiced for over 2,500 years. 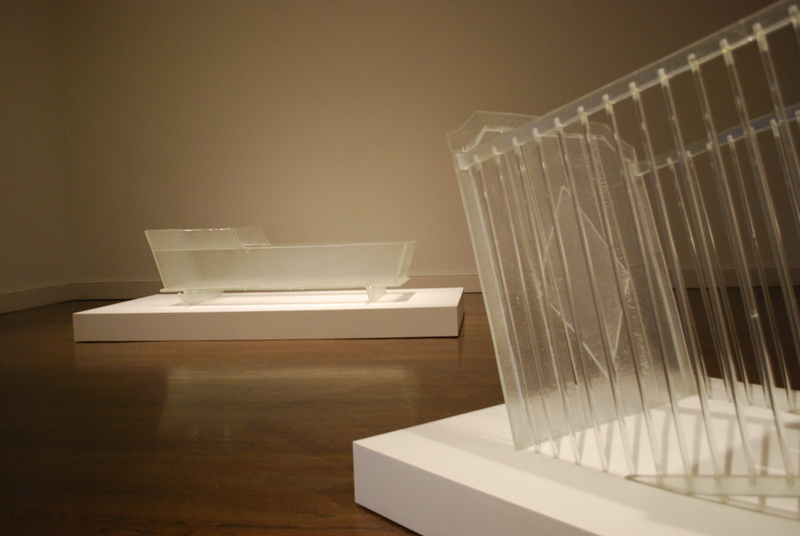 Beth Lipman is technically a craft artist, a glass artist. Her work explores several themes, including materiality, mortality, temporality, consumerism, and critical issues that stem from the still life tradition in the 17th century. Her work is constantly blurring the lines between craft and fine art. Her work transcends the “craft” aspect of her medium. Bouke de Vries literally smashes and explodes porcelain objects. Porcelain is often show behind glass to prevent breakage, whether inside a museum or in your home. And yet, de Vries intentionally highlights these fragments and breaks in his work. De Vries began his career as a conservator. It was there that he learned the techniques to restructure fragments and chips. 1. Yes, those are real flowers. Trust us, you don’t have to touch them. As a visitor enters the galleries, he or she is immediately confronted with Fragmented Vase 2 by Bouke de Vries. 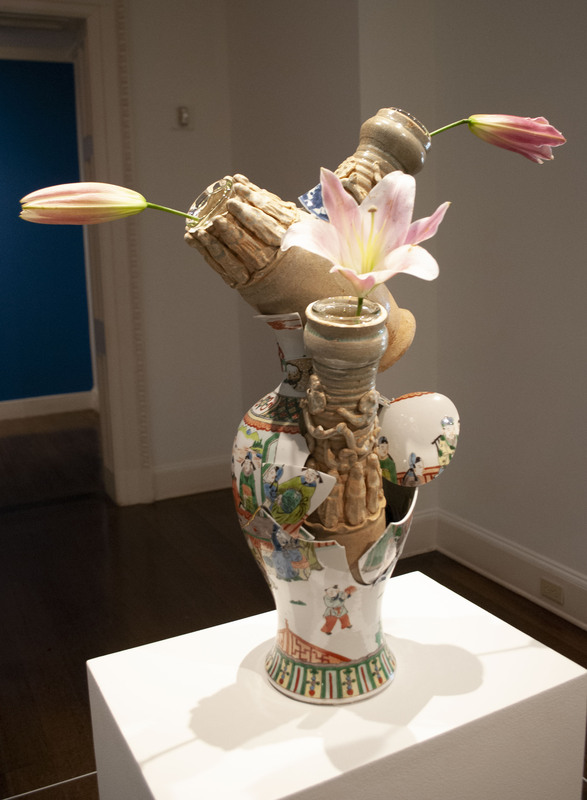 De Vries has smashed two vases and reconstructed them into this new “fragmented vase.” In this piece, de Vries has put the functionality back into the work. To highlight this, we have decided to place flowers in the work. The flowers will be replaced every week with new flowers, sometimes different flowers from the previous week. At Cheekwood, we are finally able to fulfill our dream of having fresh flowers in the vase, year-round. 2. Yes, that is an adult cradle. In the Stallworth I gallery, visitors will see Beth Lipman’s Margin for Error. This work consists of a crib and a cradle. Part of the work itself is the visitor passing by the crib, which is melting into the ground, and being met with the cradle. Lipman’s intention is that this work encompasses the entire life cycle. In the Shaker tradition, aging adults are placed in wooden cradles. They are rocked, held and soothed until they ultimately pass away. As we see in many other ways, we enter into this world in the same way we leave it. 3. And yes, we know that we are hanging a carpet on the wall. We meant to do that. In the second to last gallery in the exhibition, we have hung Faig Ahmed’s Impossible Viscosity on the wall. The design on the carpet resembles the liquidity of Dali’s clocks in The Persistence of Memory. It is indeed a carpet. This choice to hang the work encapsulates the entire message of the show. From simply taking the rug off of the floor and placing it on the wall, the work is figuratively and literally being elevated to fine art. Some would say the exhibition is sparse. This is intentional. We want the visitor to experience each object in its own right before encountering another one. This exhibition gives the visitor room to breathe and space to enjoy each gallery. This exhibition is in the former Cheek bedrooms. 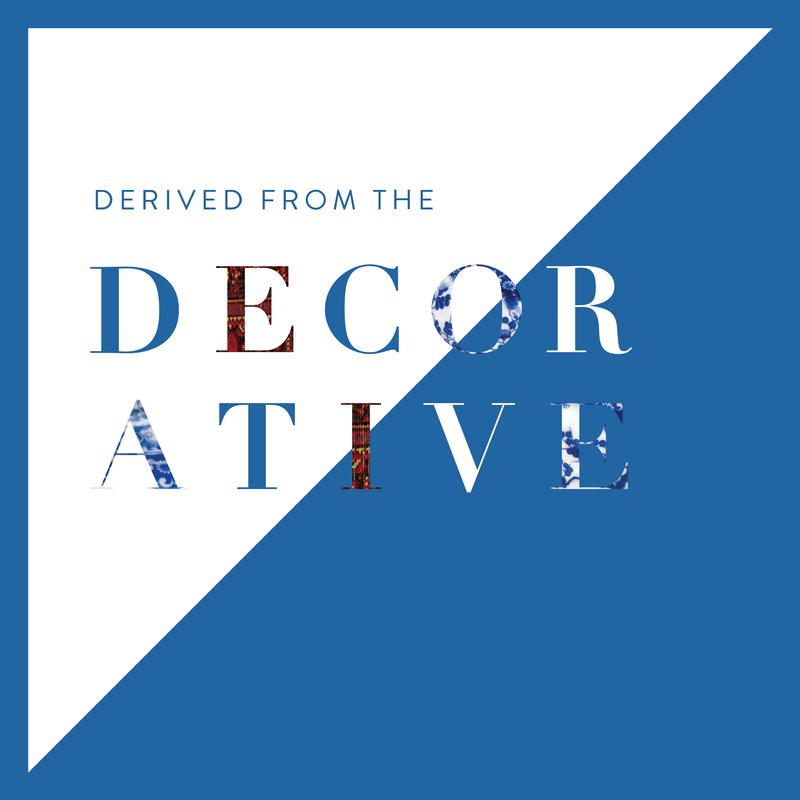 Just as we have museum-ified these rooms, painting the walls white, the decorative objects that may have once been in these spaces are museum-ified. In these galleries, take a moment. Breathe. And imagine living in these spaces, with these objects. And yes, now we are back to imagining life through Picasso and Dali’s lens.